Minister Hastings-Williams accompanied by the Director of Public Information, Imran Khan on Wednesday conducted a walkabout of Constituency Two, Kitty/Subryanville, Georgetown as part of larger Ministerial Outreach around the city. Minister of Public Affairs, Dawn Hastings-Williams addressing the residents. Residents at the meeting at the J.E Burnham Primary School in Kitty. Minister of Public Affairs, Dawn Hastings-Williams and Director of Public Information, Imran Khan at the meeting. Scenes from Minister of Public Affairs, Dawn Hastings-Williams walkabout the Kitty/Subryanville area. The journey which began at the (NCW) Headquarters in Public Road, Kitty, ended with a public meeting at the J. E Burnham Primary School. 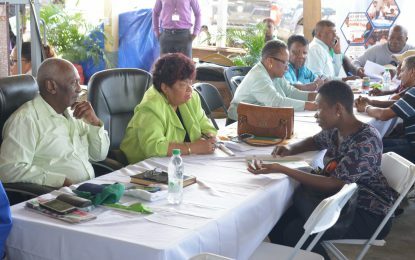 While there, the minister allayed the fears of the residents being fed by the Opposition Leader, Bharrat Jagdeo; narratives that once General and Regional Elections are not held by March 21, 2019, as required by the Constitution following the December 21 vote, the country will slip into a deep constitutional crisis. In helping the residents to better understand the political situation following the December 21 vote, Minister Hastings-William explained that the validity of the vote is still being contested in the courts and cannot be interrupted. She further explained that per the Constitution of Guyana, the opposition cannot and will not stop the Coalition Government’s work of bettering the lives of Guyanese. According to the constitution, elections must be held within three months, or at a later period approved by a two-thirds majority of the National Assembly, upon the passage of a No-Confidence Motion. Article 106 (7) of the constitution specifically states that the government remains in office and the National Assembly may pass a resolution to extend the time for elections beyond the three-month period within which elections are required to be held. 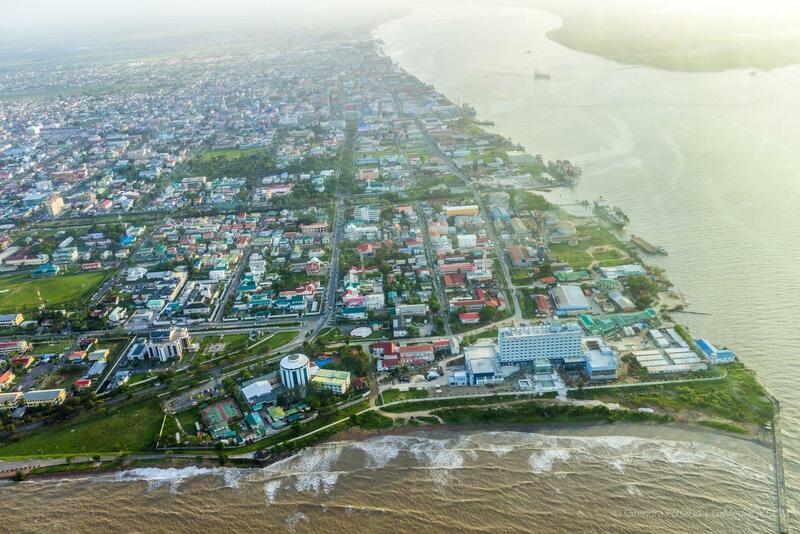 Additionally, the Constitution provides that GECOM, an independent, autonomous agency be responsible for the administration of elections in Guyana including naming a date for those elections. GECOM, soon after the December 21 vote, indicated that it was not possible for elections to be held by the constitutional deadline, noting too that it lacks the finances to hold free and fair elections. Sections of the media on Tuesday reported that GECOM Chairman, Justice (Ret’d) James Patterson, dispatched a letter to President David Granger, advising him that the earliest General and Regional Elections can be held is in late November.